John and his wife, Bev, have been residents of Fripp Island since 2001. They first purchased real estate here in 1997 and have been active residents ever since. John was formerly a successful District Manager and Contract negotiator with Xerox Corporation for 32 years. 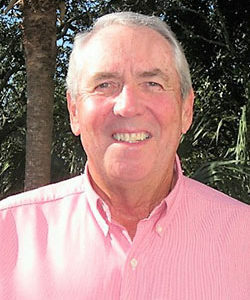 He has been President of the Ocean Creek Community Association for three years, Commodore of the Fripp Island Yacht Club, President of the Fripp Island Men’s Golf Association, four-year member of the Club Advisory Board, Fripp Island Sea Rescue and the Fripp Island Security Committee. John has his Bachelor’s Degree in Marketing from Ferris State University. He has a wealth of business experience and local knowledge of the low country.